I'm an artist and I make art inspired by the flat earth theory. 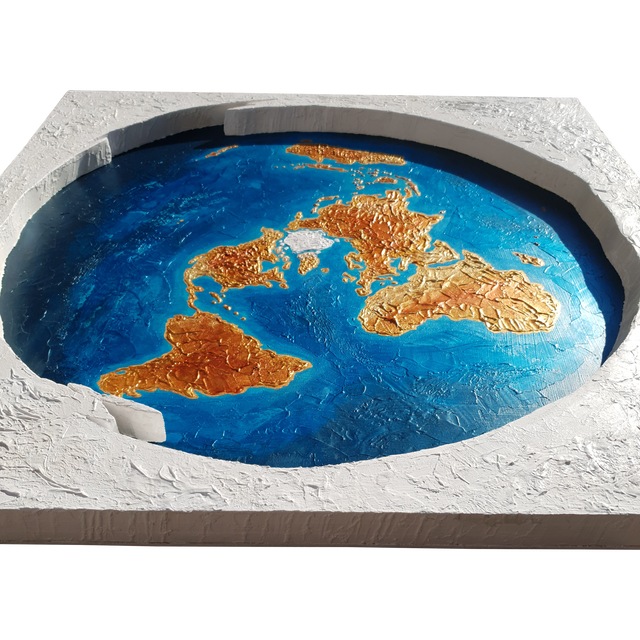 I have been searching for art related to the flat earth for a long time, but I have yet to find anything other than printed posters and the odd trinket here and there. That's why I've decided to put my many years of working in the tattoo and painting industry to good use. 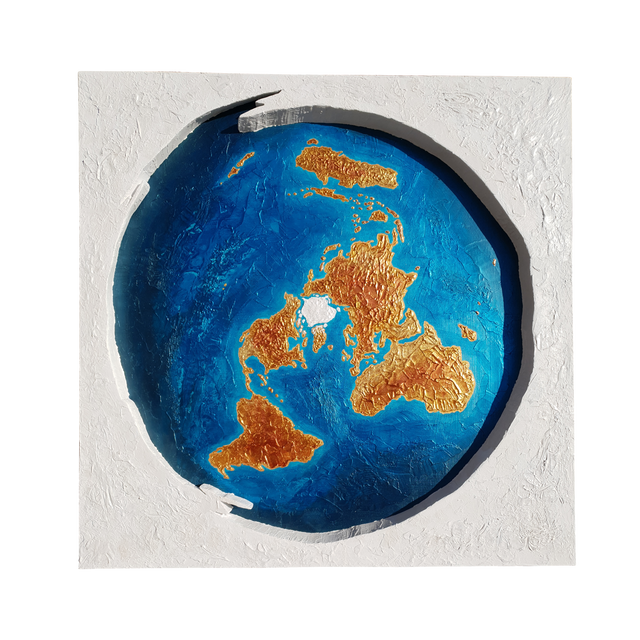 I have made flat earth paintings to hang in my own house and would now like to share my work with like-minded people. This is a painting of the flat earth surrounded by an ice wall. It's painted with several layers of paint on a selfmade wooden canvas. It's intended to be hung on a wall. Re: I created an artwork inspired by the Flat Earth theory. Even though I am a round earther, that is some damn good artwork. (I am also an artist. I run a graphics design business on the side). I agree. It is a very nice piece. 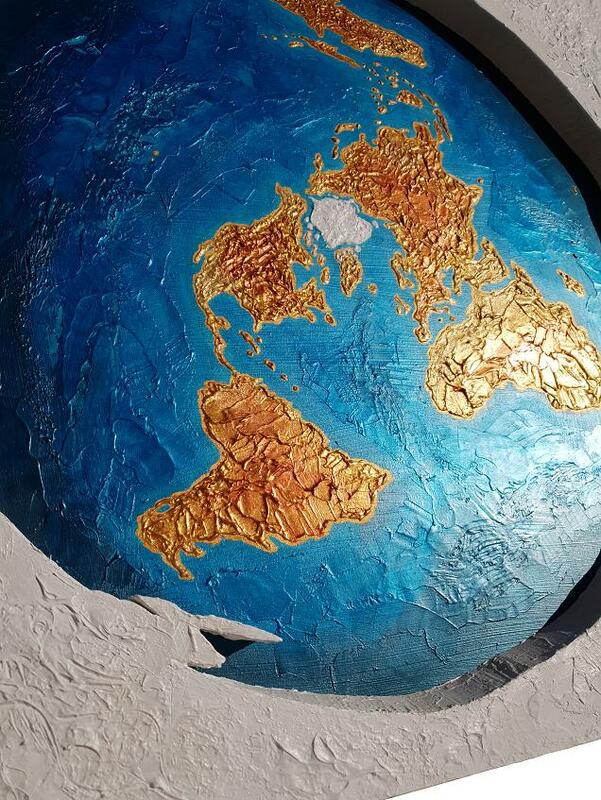 Certainly easier to hang on a wall than a globe. How long did it take to make? It's absolutely fantastic! What a wonderful piece! Are you a Flat Earther yourself?